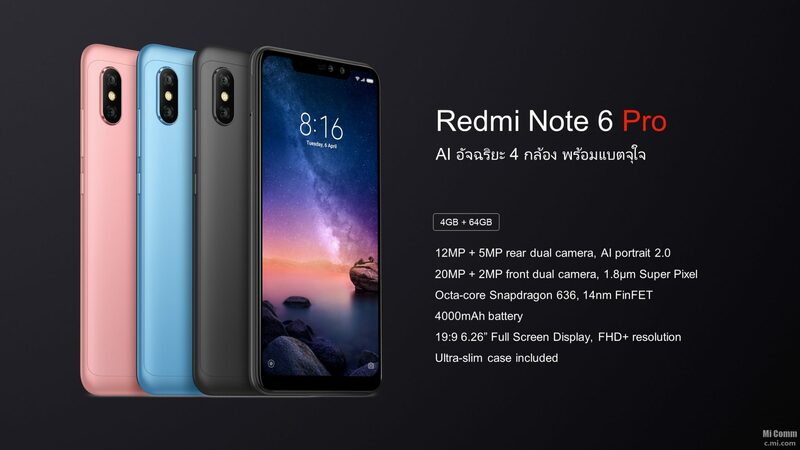 Xiaomi just announced the Redmi Note 6 Pro in Thailand, and this announcement confirmed all the leaks and rumors of the phone that we saw in the past few weeks. 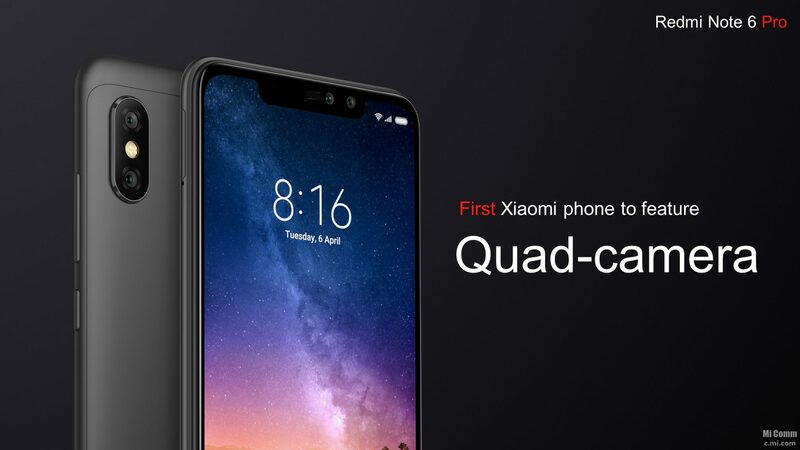 It is weird that the company quietly announced this phone in Thailand and not in China or India, both of which are the two biggest markets for Xiaomi. We don’t expect that the company will launch it in India and in case it does, it will be better if the price is under Rs 13K since we already have Realme 2 Pro with Snapdragon 660 at a price of Rs 13,990. 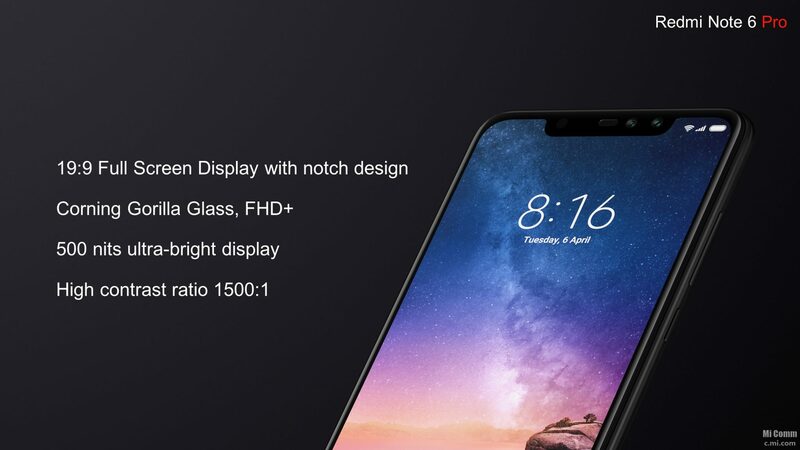 The design of Redmi Note 6 Pro is same as the Redmi Note 5 Pro except the front where the Note 6 Pro has a notched display. There is nothing fancy about the design so let’s move directly to the specifications. The Xiaomi Redmi Note 6 Pro has a 6.26-inch Full-HD+ 19:9 display with a 500 nits brightness and Corning Gorilla Glass protection. The display also features a contrast ratio of 1500:1, which we have seen on the display of Asus Zenfone Max Pro M1 as well. The chipset powering this phone is the Qualcomm Snapdragon 636. So yes, the Redmi Note 6 Pro has the same processor as the Redmi Note 5 Pro. Weird! The storage and RAM options are probably the same as the Redmi Note 5 Pro. 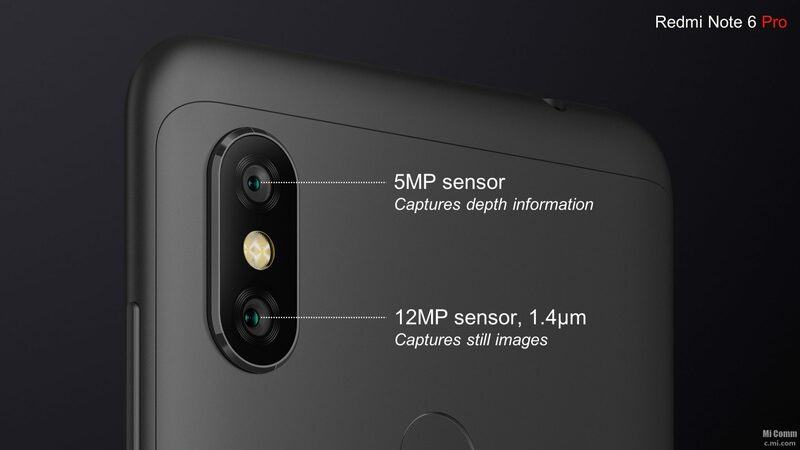 Coming to the cameras, the Xiaomi Redmi Note 6 Pro has a dual camera setup on the rear that includes a primary 12MP camera with Dual Pixel AF + 1.4-micron pixel size and a secondary 5MP depth sensor. There is the new AI Portrait Mode 2.0 with which, you can add up to 6 Bokeh effects. 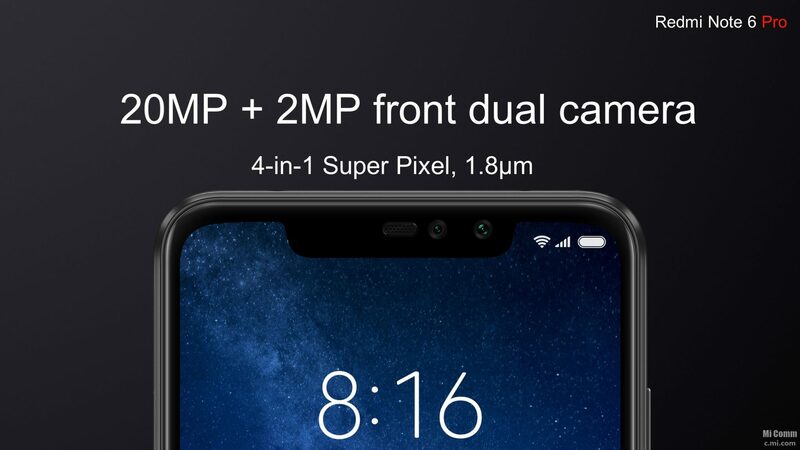 Xiaomi Redmi Note 6 Pro is the first phone from Xiaomi that has four cameras in total – two on the rear and two on the front. On the front, there is a 20MP + 2MP setup for better selfies and Portrait Mode. There is AI Face unlock as well. 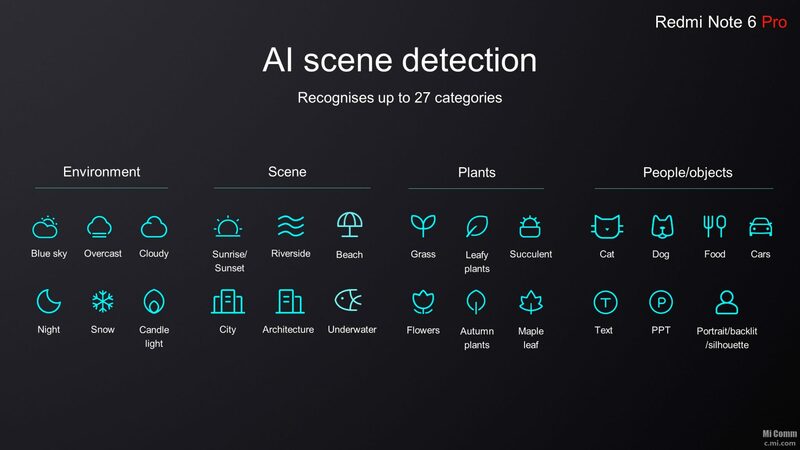 There are a lot of AI features in the camera like the AI Scene recognition that can recognize up to 27 scenes and adjust the camera settings as per the scene. 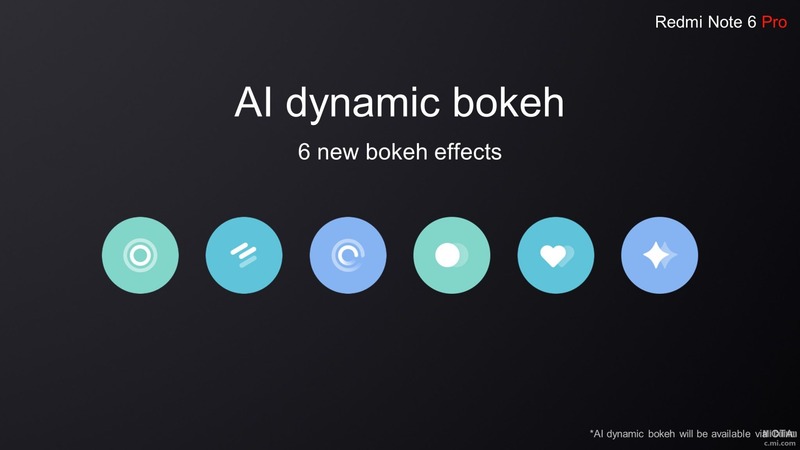 Then there is AI Dynamic Bokeh that lets you add 6 different Bokeh effects. The Dynamic Bokeh feature is not present in the camera as of now but will be made available via an upcoming OTA update. Finally, there is a big 4,000mAh battery, and Android Oreo runs out of the box. Talking about the pricing in Thailand, the 4GB RAM + 64GB ROM variant is priced at 6,990 baht or approximately Rs 15,999. If the Xiaomi Redmi Note 6 Pro launches at this price in India, it will not sell well since there are better phones out there at this price. 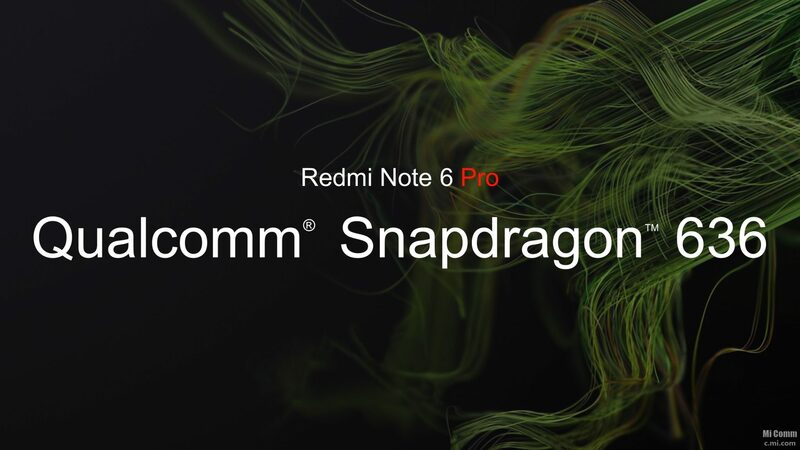 The company’s Redmi Note 5 Pro is priced the same in India so, it won’t make any sense to launch the Redmi Note 6 Pro in the Indian market. What are your thoughts? Do let us know via the comments section.